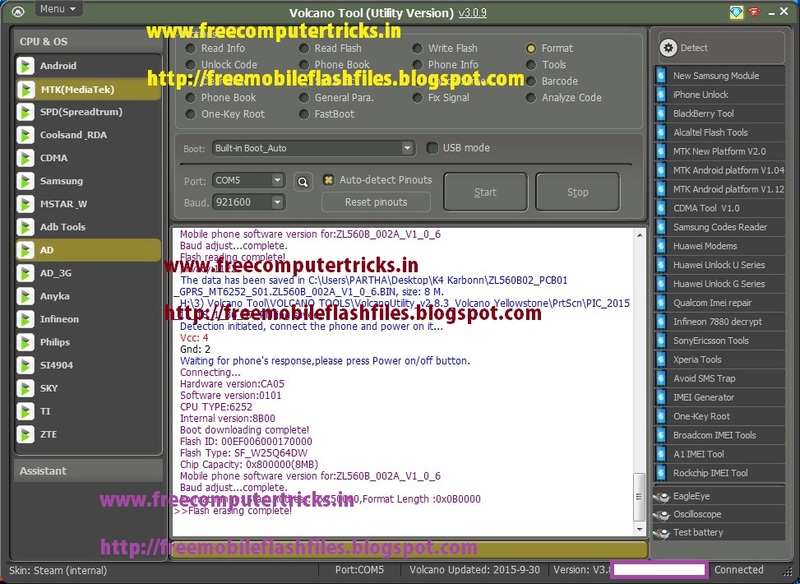 How to flash Karbonn K4 Mobile using volcano tool? here is the way to flash the phone using volcano tool or volcano utility. The phone has MTK 6252 CPU and it's not support USB flash, so use volcano JIG cable to flash the phone. The below is the read flash and format of Karbonn K4 with volcano tool v3.0.9, always use the latest version of volcano box for better results. Waiting for phone's response,please press Power on/off button.